Manufacturer & Supplier of Ball Spline. Our product range also comprises of Ball Screws, Linear Motion Guideway and Precision Engineering Component. 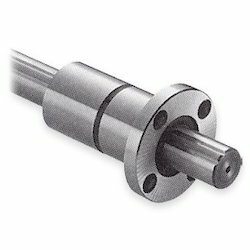 With the valuable assistance of skilled team of professionals, we are offering an extensive range of high quality Ball Spline that features high speed, anti-friction linear motion under high torsional loads. Illustrious for its remarkable features, the offered spline is extensively used in the automotive and engineering related industries. Precisely manufactured by our skilled professionals, our provided spline is available in various dimensions to cater diverse requirements of our clients.